Charu Jain, whose background includes work for American Airlines while at IBM and 20 years at United Airlines, is leading the complex Alaska-Virgin America systems integration efforts. Alaska Airlines has named travel industry veteran Charu Jain as its new CIO. Jain joined the company earlier this month from IBM as a critical and complex time. Jain's chief task is integrating the technology systems of Virgin America, which Alaska acquired for $2.6 billion in December. "[Jain’s] experience as both an airline executive and consultant is perfectly suited" to help the company tuck in Virgin's technology, Alaska CFO Brandon Pedersen said in a statement. As a partner in IBM's global business services unit for the last four years, Jain helped American Airlines integrate technology systems after it merged with US Airways. Prior to joining IBM she worked 20 years at United Airlines, beginning as programmer and finishing her career at the airline in 2012 as senior managing director of airline operations technology and technology integration. Merging airlines is among the most challenging technology initiatives that a CIO can undertake because it often involves evaluating thousands of applications from each organization, deciding which ones to retain, which ones to discard and completing the gross application rationalization in a short time frame. As a result, travel mergers have historically been rocky. Alaska Airlines CIO Charu Jain. While American Airlines' merger with US Airways is considered among the best ever completed, United's merger with Continental was so fraught with issues that when Oscar Munoz became United's CEO in 2015 he apologized for five years-worth of merger-related problems. Jain worked on both mergers, making her perhaps uniquely qualified to fold Virgin technology assets into Alaska, which when combined will fly 40 million customers a year to 118 destinations with an average of 1,200 daily flights across the United States and to Mexico, Canada, Costa Rica and Cuba. Harteveldt also says that while blending technology systems of any two airlines is always taxing, the Alaska-Virgin merger benefits from using the same Sabre reservation system, which should simplify data integration. That should help Jain obviate some of the glitches that plagued United-Continental, when difficulties reconciling data from two different reservation systems resulted in significant booking snafus. While Alaska's laser focus is on the Virgin integration, Jain must also take care to preserve Alaska's heritage of being an early technology adopter. 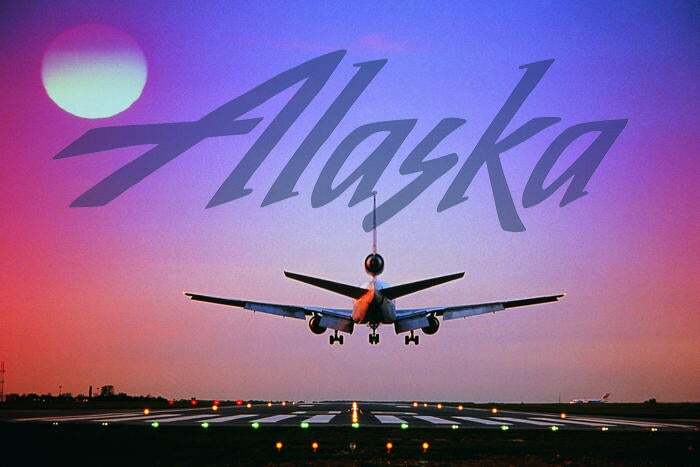 In 1994, Alaska became the first airline to sell tickets online and was a pioneer in mobile information and payment services for flight attendants and passengers. In 2015, Alaska began a biometrics test to let customers scan their fingerprints instead of a boarding pass to check their bags, sail through the security checkpoint and board their flight. It also uses RFID baggage tags. That progressive approach to customer-facing technologies extended to the back-end, where former CIO Veresh Sita implemented cloud solutions such as Office 365 and used Hadoop to process customer information. "Alaska has placed an increasingly high value on technology as part of their business and it's something that distinguishes the carrier from other airlines," Harteveldt says. Jain, who is overseeing a staff of 400, will likely try to emulate the success of the American-US Airways, embracing best practices applied for that integration, such as a phased approach to integration. That initiative was led by CIO Maya Liebman, who Harteveldt says was “laser-focused” on that integration while implementing IPads, introducing new flight management software and migrating to IBM cloud software. Similarly, Jain’s integration work could serve as a catalyst for Alaska’s digital evolution, enabling her to anticipate what the airline needs to support the business at present and five years from now, Harteveldt says. Jain has a bachelor's degree in economics from Lucknow University in India and an MBA in International Management at Lake Forest Graduate School of Management.